Have you ever had a moment in your life where you realized, deep down, sincerely, that in the next few hours, you could die? Until earlier this year, my answer to that question would have been "no." A few months ago, we went out into the desert for a men's prayer advance; not the most dangerous thing in the world, usually, unless you're a part of the army of darkness. Part of the itinerary is that on Friday after lunch all the men go off and find a place to pray for a little while; this allows for time to really focus on what is being learned; time to spend alone with God and in His Word. Off I went; I picked a peak in the distance (but it didn't seem to be any significant distance) and set off towards it. On my way there, I had the vague idea that I wasn't quite paying attention and wasn't exactly sure how to get back to camp, but I figured that so long as I reserved a little extra time to get back, it would be no problem. It's a humiliating, frightening, perspective-changing thing, being thwarted by a few miles of dirt. The extra time that I reserved to get back to camp came and went, but no camp appeared. Up one hill and down another; these gentle, rolling rocks suddenly became impenetrable camouflage, providing a vantage point when on top and obscuring any distant objects at all other times. I discovered a huge variety of things that I didn't know were near our campsite; the Gila river, abandoned buildings, mineshafts. I nearly stepped on a snake; that was- exciting. Again at another time, I heard the distinctive rattle of our favorite local reptile. Eventually I gave up trying to find the camp and switched tactics; I could see the highway in the distance, so I made that my new destination. Yet now a new obstacle met me- the Gila river. I heard some people talking in the distance, but after a brief long-distance conversation I began to suspect that they were the sort of people whose help I might not want anyway. My trek continued, and I started back along the river in hopes that eventually it would cross the highway and I would be able to get help. The sun was going down; my heart was sinking with it; though, praise God, I was afraid, but at peace. Then I saw some kind of factory, its two imposing barrel-towers standing above the earth, its lights a welcome sight in the darkening desert. I got to the factory and searched for a person, a phone- nothing. The doors were locked; the area was unoccupied. Never have I been so grateful for water as when I smelled, taste-tested, then gulped the water that came from a hose apparently used to wash trucks. After doing some exploring and pondering (and taking another drink), I set off towards the highway again; this time, the path was clear. Once there, I started waving down cars- well, "waving down" sounds a little less agitated than I was. It was not the best location for doing so, as a prison was very nearby, but, thanks be to God, a man stopped. Another moment of great relief. He was able to call my Dad, and then he took me to a nearby gas station, bought me some water, and left me there for my Dad to pick up. The other side of the story comes from my Dad, who at first, when I didn't return, was simply planning to reprove me for inconsiderate lateness- but then he began to suspect that something was wrong. Eventually, the whole camp was looking for me. Dad, my little brother, and two other men took a truck out to look for me. Micah, my 5-year-old brother, at first found it to be an exciting little jaunt, but as the sun set he said "I miss Gabe." Someone suggested that it was time to call Search and Rescue. Dad was about to dial 9-1-1 when another man in the car asked if he knew where they were; not wanting to call only to not be able to answer the questions of the operators, Dad decided to wait until they returned to camp, so as to be able to give an accurate location. It was then that he received the phone call from the man who picked me up. It was a tearful reunion; not the most idyllic location, but I was certainly thankful for that little gas station in the desert. The sermon that we had heard just hours before? How God often gives moments of preparation with Him- Gethsemane- before He calls for great sacrifice- Golgotha. Dad had honestly and genuinely figured that I was dead. He says that he now knows just a fraction of what it must feel like to have a dead son. And even in the moment, he was praying that if this was his Golgotha, he was willing. I praise God for a father of faith like that; odd though it may seem, it is the father who is ready to give even his own child if God requires it who truly loves that child more. He has never failed to make clear to us all that Jesus comes first. Jesus always comes first. Oh, may that be true of all of us. As for me, I had the most frightening, humbling experience that I've ever had; as I said at the beginning, this was the first time in my life where the reality of death stared me in the eyes. I was immensely blessed, really; all the experience ended up being was a multiple-hour hike without much water. Yet it was enough to serve as a powerful reminder of so many things. As far as the other campers are concerned- well, I'll probably never live this one down. There's plenty to learn from this, of course. 1. Don't underestimate nature. I'm an Arizonan; I should have known this. A few square miles of dirt is all it takes to kill us if God is not merciful. People die from experiences like this all the time! 2. Don't overestimate yourself. "I'm a young, fit, obstacle-race-running teenage guy. Surely I should be able to be stupid and get away with it." 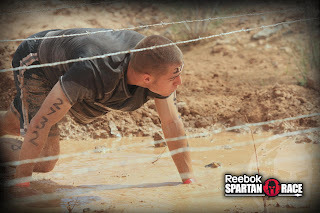 Oh, you young, fit, obstacle-race-running fool. Whether this approach is taken consciously or subconsciously, it is dangerous and foolhardy. How many times must we be warned? 3. Make your ear attentive to wisdom. Actively make your ear attentive. My parents have warned me enough about things like preparedness and attentiveness that I have only my own complacency and pride to blame for my danger, my father's and friends' turmoil, and the disruption of the entire camp. 4. Pay attention. The simple act of marking a few landmarks in my mind would have been enough to change this story into the story of just another normal day at camp. 5. We have it so easy. Years ago, pioneers traveled this land in small groups of covered wagons; cowboys roamed the desert on horseback. Now, we scarcely venture off the asphalt, and when we do dare step out of our air-conditioned carriages, and wander a little ways off into untamed wilderness, we are so easily lost. Let's not let the blessing of hot meals and cool rooms make us weak. If those things are taken away, will we still be able to press on for The Kingdom of Christ, to still bless the name of God? I don't want to be a soft man; though I have no aspirations of living in a covered wagon, I do want to take the occasional cold shower, or crawl under barbed wire every once in a while. 6. Remember how short life is and how blessed we are. Staring death in the eyes makes one appreciate so much and appreciate it so much more. Tom Hanks in Castaway, after living on an island for years, was content to simply turn the lights on and off- and on and off. We have so much; how much of it do we even notice? How much of it are we even grateful for? How much have we invested in our siblings? Our parents? Time goes by so fast; may we invest it wisely. I'm sure there are more takeaways; point 6 leads easily into a discussion of the honor of parents- something else that God has been recently working in my heart about. Another topic for another time. For now, though, I shall conclude this chronicle of the providences of God by saying that I am so grateful to God for His mercy. Don't be a fool like I was. Learn from my mistakes, my sins- don't perpetuate them. Wow...glad you made it! I think the closest I've come to that feeling was last August when I thought I had broken my neck for what was probably only a couple seconds--but it sure felt longer! So glad you're safe Gabriel, and that you learned such valuable lessons through this experience. Thankyou for sharing them, and praise God for His protective hand upon you. Wonderful thoughts, too. I've been pondering a lot lately on the statement you made: " Remember how short life is and how blessed we are." Good stuff. Praise the LORD your safe! Your Mom told me a little about this, but I don't think I got the whole import of what she was saying until I read your post. And thanks for posting what you learned from your experience. "Staring death in the eyes makes one appreciate so much and appreciate it so much more." I always think I can imagine what it would be like to look death in the face... and then I wonder. Great account and telling of this event. I have been pouring over you blog the last hour. reading all these great posts. Do you sill call AZ your home? I grew up there an can fully relate to this story. Dang, Gabriel. Have you read "Hatchet" or "The Girl who loved Tom Gordon"? Very humbling accounts of being lost (fictional), one in Canadian wilderness and the other in a forest, and so are the films "A Cry in the Wild" and "White Wolves", but my gosh, you've lived it in a desert area! Thank God you're okay. Excellent read! As well-written as the stories I mentioned. Thanks Gabriel.